School isn’t an easy place for the child on the autism spectrum. Here’s some tips to prepare preschoolers on the autism spectrum for what lies ahead as well as some tips designed to help you, the parent, find the right school for your child. 1- If possible introduce your child to a play school or a nursery setting so that they are given the opportunity to get used to being around other children. If you don’t, then you run the risk of problems when it becomes compulsory that your child is educated. 2- Introduce social stories that are centred around that of your child’s first day at school. Continue using social stories that cover school in general… especially trips, sports days and other activities that don’t happen on a daily basis. 3- When deciding on what school to send your child, take your time looking into the different options. 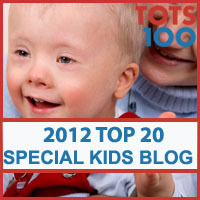 If your child has a statement you also have the option of looking into special schools. 4- If possible take your child with you to look at schools. They may only be a pre-schooler but its important to see how the school sits with them. Be sure to choose a school that has experience of educating children on the spectrum and one that offers all the support your child will require. 5- Check ofsted reports as well as online reviews its important to do lots of research when it comes to schools. 6- Ask teachers if you could possibly take some pictures of the school and classroom setting (obviously not the children)! It would also be great if the class teacher and head teacher wouldn’t mind you taking a picture of them (the teaching staff). With these pictures you can build your child a social story that is centred around the school they will attend. 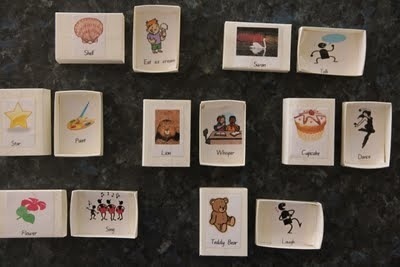 5- Pictures like those above could also be added to a child’s visual timetable. You could even create them a travel book. Inside this book you can display pictures of the teacher, toilets, playground etc… This would allow the child to use visual clues throughout the day in a number of ways. It would be an especially great tool for the non verbal child. 6- Engage your child in role play. Have fun playing a game of schools, therefore preparing your child for the real deal. 7- Prepare your child for the world of education by starting out early. Giving a child a head start in education is a wonderful gift regardless of whether they have autism or special educational needs. 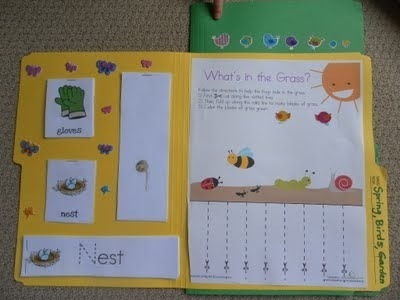 Counting games and colour matching, arts and crafts and reading are all great ways to learn and will help your child practice concentration techniques needed for the classroom. 8- If your child has poor sensory processing then start introducing them into the world of sensory play. By playing a number of sensory games, over time such exercises could help your child adjust & adapt to different types of sensory stimuli. 9- If your child is yet to be diagnosed then do all you can to get professionals to see your child as early on as possible. Lots of children are diagnosed as being on the autism spectrum much later on once attending school. Children with Aspergers can often find themselves struggling in primary or even secondary school, while parents are battling the system for that of a medical diagnosis or a statement of SEN… quite often its usually both. Though, it should be noted that some traits of autism, especially Aspergers Syndrome may not surface till much later on, once a child is in school. Its not always a struggle to obtain the diagnosis. Good schools and SENCOs may be the first to spot a problem and therefore refer you to a specialist for an official diagnosis. 10- Children with Aspergers prefer a good set routine. School is a very structured setting and the child on the spectrum will really like this aspect of their school day. However, there are times when routines have to be slightly altered and changes need to take affect. We have found that unannounced supply teachers upset little man more than anything (even when he does have warning he still finds it hard to adjust)! Be sure that your child’s teaching team fully understand the importance of routine and the need to inform you of changes asap. Of course there will be times when changes are unavoidable and occur last minute but the earlier you know the better prepared your child will be for the change… However big or small it may be. School is a substantial part of a child’s life. It is a place they will attend 5 days per week, for an average 6 and a half hours per day. Its imperative that they are comfortable in their learning environment. As parents it is our job to see that they are! Ensure Your Child With Asperger’s Syndrome Gets The Education They Are Entitled To! Every child In England has a right to a education, one that is fulfilling in all areas, yet enjoyable too. Our children should start school with an array of wonderful learning opportunities ahead of them. They should be offered a variety of experiences both in and outside off their place of learning. A good education should be one that not only provides a child with good levels of attainment but also helps build confidence, decreases vulnerability to poverty, inequality and social exclusion regardless of race, religion or that of disability and special educational needs. Sadly things are not always so black and white and regardless of laws and codes, schools and local authorities don’t always play by the book. We as parents don’t often find ourselves worrying about whether our children will receive an education catered to their specific needs, especially before they have even started full time education. We often find ourselves assuming that professionals will teach and respect our children as one would expect them too. This is even more so if we are yet to discover our child has SEN or a diagnosis consisting of Aspergers Syndrome as this can often be picked up much later when things have already become kinda messy at school. Maybe you are aware of your child’s specific difficulties and professionals won’t listen (sadly this is a common scenario). 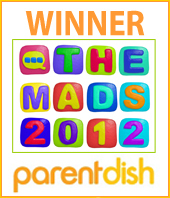 The situation is one made more difficult if you are still trying to obtain an official diagnosis for your child! I for one understand this, given my own son was diagnosed at the age of 8 years old, obtaining a statement of educational needs at the age of 10 following a somewhat tiresome battle with the local authority. We all know that early intervention is the key to success. If your child is lucky enough to already have obtained their diagnosis before they have reached the age of compulsory school age, then you already have one hurdle met. This may seem strange to some…. 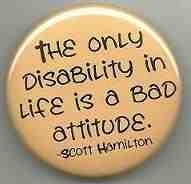 Stating that obtaining any diagnosis of a social communication disorder is in anyway lucky! But it is lucky to have obtained this so early… Those who are still trying to get their child’s official diagnosis as they almost leave for secondary school, will likely agree! Below I’ve listed some ‘Tips’ and “Need to know” advice, to help you ensure your child on the autism spectrum gets a full and rewarding education… one they not only deserve but more importantly… the one they are entitled to. 1: Remember just because your child has a diagnosis of Asperger’s syndrome this doesn’t Automatically mean they will be placed on the sen register. 2: You should know that it’s not just that of attainment levels or specific learning difficulties that leads a child to being placed on the sen register. It is also that of their emotional, social and behavioural needs. Some schools often fail to make parents aware of this when they are trying to obtain a better support for their child. Be sure to state your knowledge on the matter and don’t let them try to convince you otherwise. 3: Teachers often have the ability to “Forget” to inform parents of important developments, ones such as placing a child on the sen register. If you know your child is likely to be placed on the register or suspect so, then be sure to ask them in writing. If need be you have the right to request your child’s educational record. The Education Act clearly states parents must be informed that their child is on the register and the reasons why. All developments should be recorded and shared with parents in writing. Parents should also be even the option to contribute to their child’s IEP. 4: Always Talk to teachers ensuring they know your child’s diagnosis and more so… any traits or difficulties that may present themselves during the course of the school day. 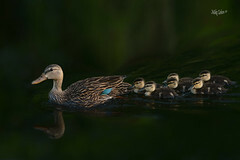 5: You often find yourself not wanting to be seen as the overbearing, over protective mother. Nonetheless, its important to make a stand from the start. Working alongside your child’s teaching team is always the most beneficial way forward. However, letting them know you won’t be frobbed off is also OK too. 6: Its OK to ask your child’s teacher or teaching team what experience they have when educating children with additional needs, autism spectrum conditions and SEN. Here in the UK it is usually the SENCO (special educational needs coordinator) who you will want to meet with to discuss any worries or concerns as well as that of your child’s class teacher and if applicable, any teaching assistants. 7: Make an extra effort to record any incidents that occur at school. Whether it is the school that has informed you of these incidents or its something your child has told you, what may seem no big deal at the time may later be of importance, maybe even contributing to any evidence needed in order to get your child a statement of sen (soon to be health and education plan). 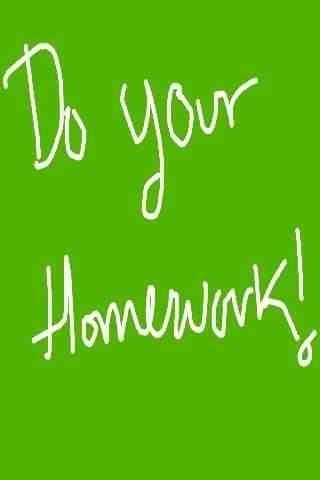 8: Make time to help your child at home with not only their homework but also social skills training. Use social stories to teach your child about different situations they may encounter while attending school and beyond. 9: Although it isn’t a pleasant thought you may want to bear in mind that children on the autism spectrum can often find themselves a target for bullying. Its horrible but sadly true that children can be very cruel. If your child’s traits are ones that are very apparent and stand out to other children as somewhat “Odd” I’d advise you to keep your ear close to the ground. Keep in regular contact with school and encourage your child to report any problems to a teacher they feel close to. 10: Remember, your child has the right to an education, one that is the same as that offered to his or her peers. Your child should not be made subject to discriminatory acts. Some examples are that of illegal and legal exclusions, internal exclusions or isolation, removal from certain lessons or not being allowed on school trips etc… without a very good reason. Those parents that are lucky enough to have their child’s diagnosis before they start school will have the opportunity to view schools asking questions on various subjects therefore ensuring their child’s needs can be met. 11: If your child’s school is not informing you of any incidents especially those that affect your child’s emotional wellbeing, and therefore cause problems when at home as well as school, then request a daily school/home contact book. This means you can record any incidents that take place at home, ones you believe could affect your child during their school day. With this, the “Said” school would therefore be required to do the same. This would not only provide peace of mind but would also provide a written record that could provide useful if applying for a statement or making any claim with the first tier tribunal. 12: Watch out for illegal exclusion. No head teacher or other member of the teaching team should call you and request you collect your child unless they are officially excluding them from school. Parents may be told that their child has had a stressful day, they are tired, had a meltdown or are just being disruptive. The phone call will likely end with the school suggesting it would be better if you could collect your child so they can go home to calm down. Although you yourself may want to just take your child home avoiding them anymore stress, you should remember that the school are meant to officially exclude pupils and this exclusion needs to be put down and recorded on paper. LEAs need to be noted, work provided and letters given to parents. Schools don’t like having to record exclusions as this doesn’t look great on them (and who wants the paperwork). As parents, I guess we instantly don’t want this kind of stuff recorded on our child’s school records, especially when we are disputing the reasons surrounding an exclusion… Or do we? The school illegally excluding your child shows that actually… They cannot met your child’s needs! When trying to obtain a statement (or soon to be health and education plan) we need to show why our child’s needs can’t be met. By just telling an LEA that your child is being sent home regularly for poor behaviour, without anything to back it up, isn’t really going to get you anywhere. You need to provide evidence and this can only be provided by way of official exclusion. Note… Even if you agree to collect your child, the school is still breaking the law by not making this official. 12: Children with Aspergers and SEN can sometimes have relatively bad attendance. This was specially the case for my little man. This has lead to three court appearances due to the lake of understanding provided by both his old mainstream school and the local authorities ‘Education Welfare Officer’ (EWO). Little man has an incredibly poor sleep pattern and this combined with the discrimination and other difficulties experienced when at school lead to the development of school phobia. It took me a long time to get him into the routine of going, so to have the school send him home at least three times a week was more than frustrating… It was shocking! Thankfully the last judge had little difficulty coming to that same conclusion. Given this was my third appearance in court for this matter, and the EWO had stated that herself and the LEA felt that a prison sentence, alongside a grade two fine, would be the most suitable form of punishment for me (said by EWO when the judge asked her what outcome the LEA was hoping for) I was more than relieved to have the whole sorry mess come to an end. 13: Always remember to keep in contact with your child’s school if they are not attending. Make a diary and keep notes on conversations and appointments you’ve had. Cover yourself with medical evidence and like me… Request that the education welfare officer collect your child and let them endure the horrible task of trying to get your screaming child dressed and out the door to school. Especially when they are having a huge meltdown, acting violent and smashing up the house… And that’s on a good morning! It actually took me three whole years of requests for the EWO to finally agree. Lets just say that she was now beginning to realise the stress I was under (not that it changed anything). If your child is not attending then You should always request that work be sent home from school. 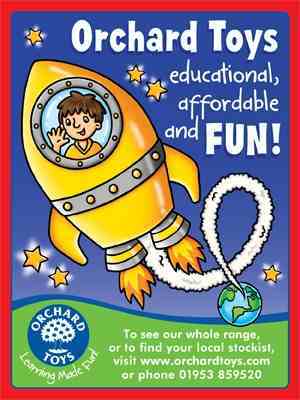 Your child maybe school refusing but you don’t want them missing out on valuable education. I found that the school didn’t offer and I had to constantly request this. If you are taken to court and accused of Intentionally failing to ensure your child’s attendance (sec 4441(a) ) you can also show that your child was in fact educated during the period of time they have spent absent from school. 14: Remember the law states that your child must receive a full education at the age of five years old! The law doesn’t state that this has to be in a school environment. Home schooling is always an option and one you may consider best to ensure your child receives an efficient education. Nonetheless, its worth noting that by opting for this you remove the social opportunities a school environment presents (even if your child does struggle with such social settings). Dependent on how your child’s social skills are I’d be sure to ensure that home schooling involves lots of social skills training. When we home schooled little man after finally removing him from his mainstream primary school, I made sure he engaged in other activities alongside other children. He started boxing twice a week as well as a number of other activities. The LEA reports stated how they thought little man would have too many difficulties integrating back into a school environment as he wasn’t only left without a school for a year following mainstream but during most of his time at his mainstream school he was either excluded or hidden away in isolation! Reading such reports can be heartbreaking but in the end they only made me more determined to prove them all wrong. His now been in his independent special school for around 18 months and is popular among both the teachers and his peers. 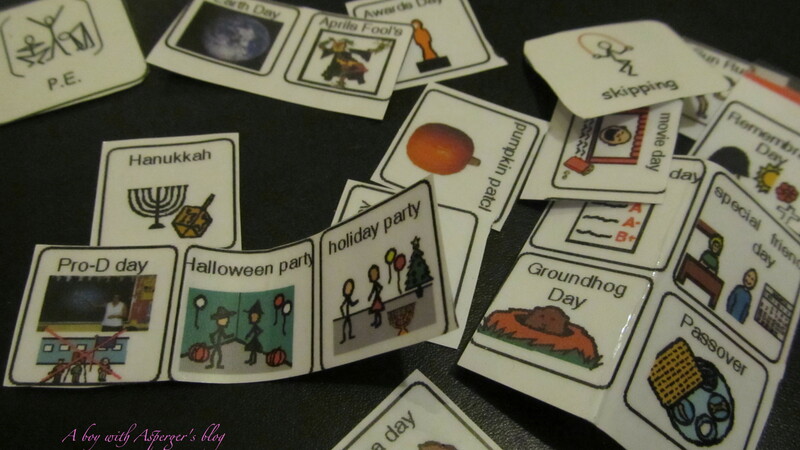 15: Use visual timetables for both home and school. Highlight any up and coming events or changes well in advance placing them on a visual calendar. Making schedules and routines consistent between the two settings (home & school) could make things more simple for your child, therefore removing any anxiety towards school. 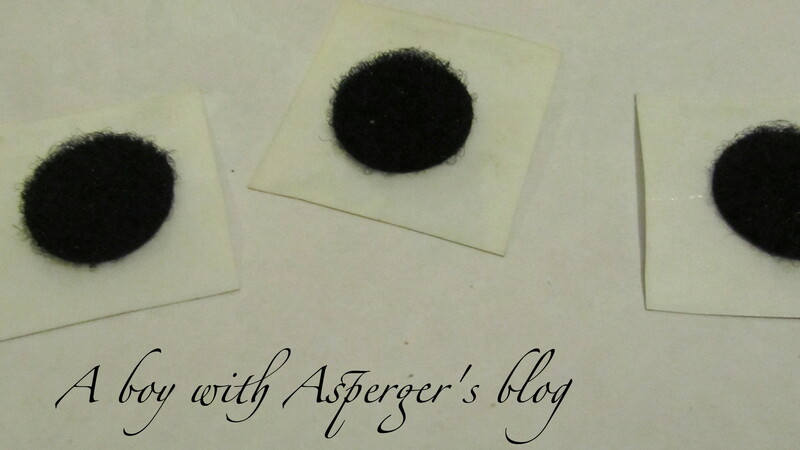 16: If your child has Aspergers or Autism they probably have a special interest in something or another. Little mans obsessive interest really did overtake his life as well as ours as a family. He would speak about nothing else and could quite literally drive you into a state of insanity with the non stop discussions on bus and train models. Having Asperger’s syndrome doesn’t make you stupid and as he started to get that bit older he realised that other children were taking the Micky out of his love of the big red bus. With this he did very well to suppress his interests while in school but this did have its downfalls… Once home he’d just explode. It would all come flying out and he’d normally have a huge meltdown before finally engaging in the activities he’d wanted to engage in all day. This meant little sleep… Very little sleep. Its not so bad when your child is in an environment where other children don’t see him as particularly “Odd” They all have their very own “Special” interests to occupy their minds to even notice his. But some children ain’t this lucky. Regardless of where your child is educated its important to try and maintain interests so that they don’t go too OTT (the point when your child can think of nothing other than their interest). Although they have passion, the lack of concentration & appropriate social engagement with others can present huge problems later. You might want to start monitoring your child’s engagement in their interest to assess how obsessive these may be. If it shows signs of going over board you will need to try and limit the time your child engages in it. You can’t shut down their mind but distraction and routine is key. A child with a really intense special interest will probably know a lot about the subject and present some pretty impressive skills when it comes to their knowledge of the interest. 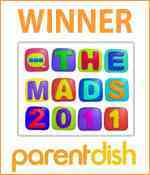 This can be a real strength and as you celebrate this it will therefore help to install your child’s confidence. Just be sure they explore other areas too otherwise school work will not be tolerated if its not centred around the specific interest as they will struggle to concentrate on anything else whatsoever. late nights, even sleepless nights. In depth Conversations on transport, LEGO and wrestling! Visual learning (our home is full of home made schedules)! 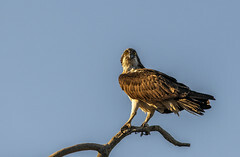 Tolerating those that are not! Discovering and learning from one another. And dam right tiring days! 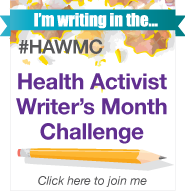 I have to admit that when reading today’s #HAWMC writing prompt, I smiled a big fat cheesy grin. The prompt was to create a pinterest board surrounding your health focus and then pin three things and share them here within this post. Of course, having been actively using and engaging in Pinterest related activities, I had already created such a board (one surrounding my heath focus). The board is titled, “Autism and Sen” its one of a hand full of boards I have surrounding autism and sen related issues. This actual board focus a lot around creativity, supplying its followers with ideas that could help make life a tad simpler (visual prompts) as well as lots of ideas for sensory play, ones designed to help your child’s senses develop or give them that sensory seeking pleasure they crave! Unsurprisingly, I also didn’t feel the need to zoom of and start pinning, the boards adequately filled and continues to grow most days. I did however actually find it quite difficult to decide which three pins I wanted to share, so of course I broke the rules a little and have shared a few more for good measure (sometimes rules are there to be broken)! My first pin I’d like to share is this awesome visual chore chart which I thought would be a great resource for parents trying to encourage children on the autism spectrum engage in household chores or even as a prop to help teach independence skills. The original content came via the blog moneysavingmom.com. 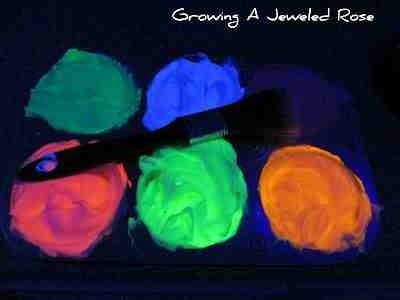 I love this next pin that links to the blog growingajeweledrose.blogspot.com where some fabulous ideas can be found for sensory fun. This particular image is home-made glowing bath paint. I have tried this and it works 🙂 If your child, like mine is tactile defensive and isn’t to keen on the bath tub, this could be the thing to help. Staying on the issue of sensory processing and that of tactile defensiveness, this next pin demonstrates a great way to encourage your child to experience and recognise different textures therefore learning to tolerate them. 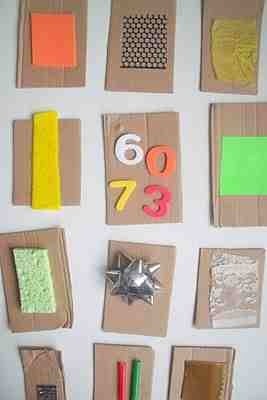 The home-made tactile board below is also great for the sensory seek who just has to seek out different textures. The pin shows a really effect and cheap way to combat such issues (tactile boards that of shop brought are often very expensive products). The pins original content is from the awesome blog makeadoandfriend.blogspot.com. 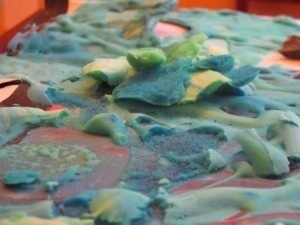 This pin is from handsonaswegrow.com and demonstrates the beauty in sensory play. 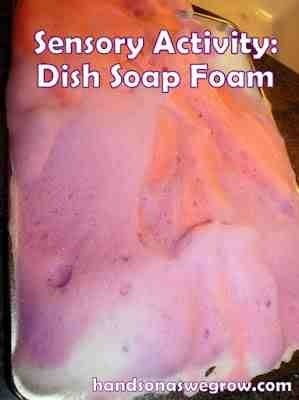 Dish or shaving foam is both a cheap and effective play idea for the child who sensory seeks. Lets face it, household chores are really not much fun. We all need a little encouragement every now and then to get going. My son, who’s now 11 and has a diagnosis of Aspergers Syndrome quivers at the word housework or chores, but then so does my 9-year-old daughter. Little man just needs a hard dose of motivation that’s all! This isn’t only down to the fact he despises any housework related activity, though this does account for the majority of his reluctance, it’s also other factors, such difficulty following instructions, doing things in sequence and that of poor sensory processing. In order for the little man to grow up and become fully independent, he will need to require simple skills such as these to make it on his own in the big real world. He must learn how to do the basics accruing more complex skills as he grows older! Another important factor in this situation is the fact he will also need to learn the value and importance of helping other people… So what if you didn’t drop those wrappers on the floor, helping shouldn’t be an issue non the less! Firstly, I must say before rambling on any further, I’m just a mother, and I don’t have all the answers, in fact I’m unsure to whether I actually have any! Though I will always try to find answers, when I succeed, or even partly so, then I’ll share with you all, in the hope it helps you too! So… here’s some suggestions on how to encourage a child on the autism spectrum to actively engage in household chores without all hell breaking loss and then regrettably freezing over. These tips may work for one child and not the other, you may be required to try a number of different techniques or maybe just the one, every child is different regardless of abilities and diagnosis. Note: I’ve also tried this with my 9-year-old daughter who isn’t diagnosed with the condition and she’s actually done brilliantly with many of them. 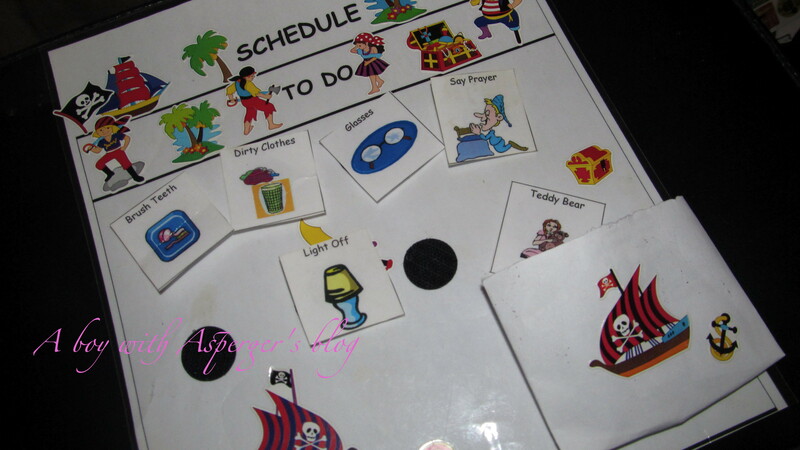 1) Children on the autism spectrum tend to be visual learners, they may use written or symbol prompts as to plan events, following instructions in completing a set task, or just to alert them as to what happens next. Little man has been using both a visual schedule at home and school keeping it consistent. 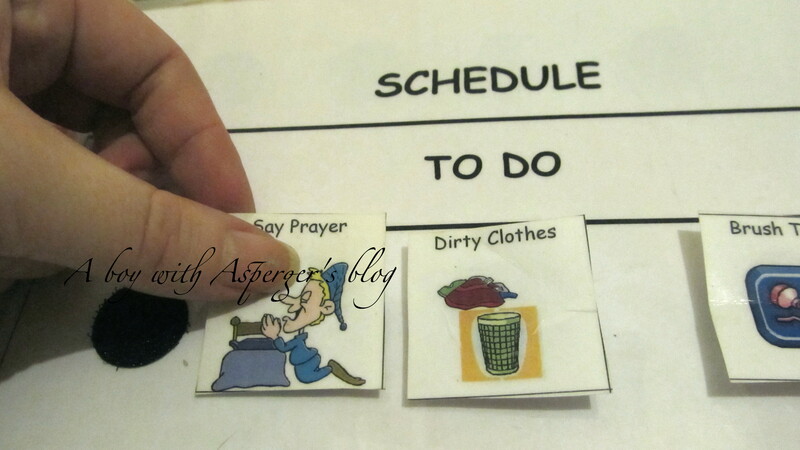 He likes to know what’s planed and this is the same with chores, so, if he has chores as well as homework etc, these are added to a chore chat which he helps to devise on a weekly basis. 2) Don’t give rewards for every completed chore as this then doesn’t become a normal daily routine but instead a way to gain rewards. If one week you wasn’t in a position to provide the promised reward, failure could result in undesired meltdowns. Rewards can be given as a weekly treat and you should ensure its done for all children in the household. 3) Help your child to chose their weekly chores as in number 1, however try to encourage some weekly chores in-which you can both contribute in together, making it a fun bonding experience. 4) Don’t change the chores without giving a warning to your child, keep them consistent in the way in which you and your child devised them. Also try to agree on a time your likely to keep too, as this will only cause problems otherwise. 5) Do the same as in part 1 and 4 but remember to not make your child overly reliant on his routine, so try to adjust times for different weeks, but as mentioned in part 4, stick to them for that entire week. 6) Teach your child how to have a focus, this works fantastically for Little man. An example would be if vacuuming, say the living room, point out the half way mark highlighting how his almost there, then point out the finishing post. You will find that even though the break is offered at half time, 9x out of 10 they’ll keep pushing themselves all the way. 7) Don’t keep asking as it drives children like little man round the bend. If your child fails to look at the chart remind them to do so, if they just refuse then you may need to decided if a sanction may need applying. Stick to your guns and be consistent, as you will be in an even worse position for next time. 8) Don’t bombard a load of request upon your child at once, example, take up washing, put shoes under stairs, hang coat up then run your bath…. overloading will produce the undesirable. 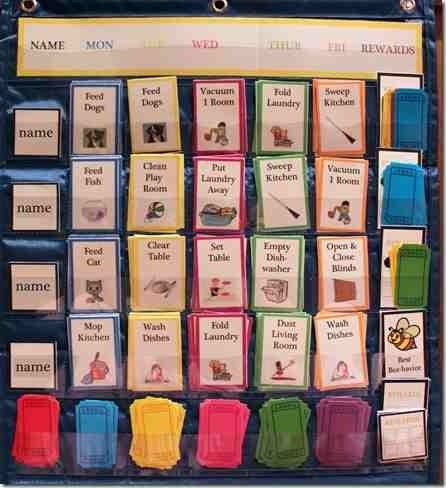 Remember children on the spectrum tend to be unable to follow instructions if not given time to process the information given, this is why I’ve suggested the chore chart. 9) Have something nice to look forward too! I’m not talking a treat as such, more like something you’ll be sitting to watch as a family that evening. Talking about the film etc why doing chores with your child, will help them complete without the dragging boredom. 10) If like little man, your child on the autism spectrum doesn’t do well in supermarkets (despite how much he protest he wants to join you) ensure you have prepared distractions and you are aware of any sensory triggers, avoiding where possible. I get Little man helping me write the list, this helps his handwriting and spelling skills, reading the list while we shop also helps reading skills (so they don’t know they are doing chores and a fair bit of education based work too). Little man is also fantastic at maths which he actually enjoys too. To keep his mind from distractions that may cause sensory overload or some type of social anxiety episode I ask what’s best value for money when deciding if to buy a product (example, buy one get one 1/2 price coke or that of the 50% extra free priced at 10p more) His actually quicker than I am and has on occasions save me some money. Another thing that Little man loves is the “Self Service Checkout” I guess he feels independent. It’s a great way to distract your child or engage in a little social skills training. 11) Little man loves music and despite sensitive hearing (he can hear a pin drop, or a buzzing freezer sends him barmy) music however doesn’t have the same effect, he loves music, and the louder the better. If you can tolerate a bit of loud music then its an awesome way to motivate both child and adult into doing the chores and it really does do well to speed things up. 12) Since being in special school little man’s become a dab hand in the kitchen. He cooks or bakes at school every Tuesday and has brought home some delightful dishes. I do think its the Italian in him as the kitchen isn’t my favourite place to be. Because of this I ensure he is appointed jobs that he really enjoys, like helping prepare a meal under supervision. He loves this and it’s simply not a chore in his mind at all. 13) One thing extremely important for the child on the autism spectrum, is that of prise, your child should be praised for the smallest accomplishments as these will eventually lead to those bigger ones, plus you’ll find over time that your child is setting out to please you. 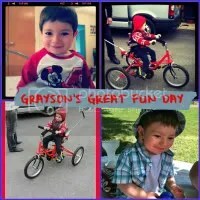 14) Little man love’s some items that many other children have considered strange and undesirable. On little man’s christmas list, I’ve found all sorts such as juicers, smoothie makers, blenders and even a chip pan (don’t ask). His always begging to get his mitts on some type of appliance. This can be used as reinforcements, allowing your child to use the popcorn maker to create a movie snack under your supervision! However, your child will need to clean up and wash any dirty dishes (making sure sharp objects and blades have been removed first). 15) Occasionally, surprise your child with something nice. Do not directly state that it’s a reward for his engagement in chores but prise him for how his displayed good skills and is a good role model for younger siblings and now seems more grown up. This kind of thing makes Little man very proud, he then thinks about other ways of impressing me, not just for treats but the overall confidence boast he receives. 16) Don’t overload chores, give little on Saturdays and none on Sundays, allowing them some chill out time and space. They will continue their chores more efficiently once rested or having had some fun. 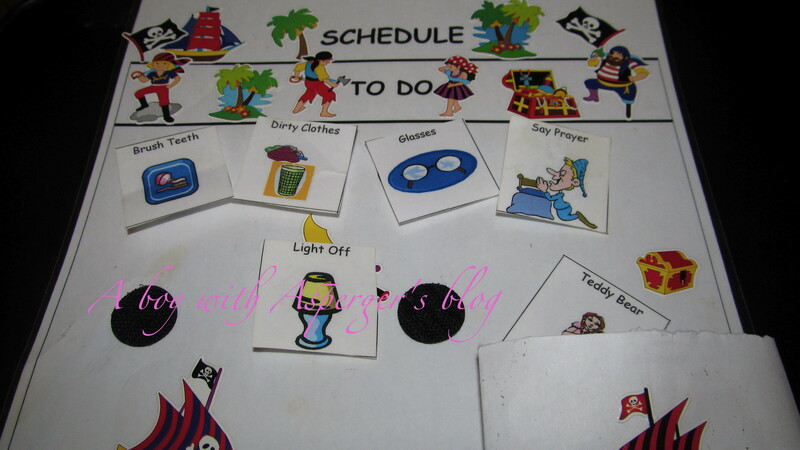 17) If your child has hygiene difficulties due to sensory reasons, then you should work with him to remove or reduce the trigger if at all possible, adding these activities to the chores chart also. 18) Encourage your child to recycle by speaking about the fascinating things that it involves and how certain objects can cleverly be used to make something completely different. Do a scavenger hunt, encourage your child/children to collect as many newspapers as they can as well as other recyclable items that can each be placed in its own boxes, example…. Glass, Paper, cans etc… making this a fun afternoon game. 19) If your child has their own pet (little man has Bella our pregnant cat) get them involved in feeding and grooming making it a responsible job and good practical chore. 20) Take the chores out into the garden this summer. With the beautiful sunshine and longer days. Little man and his sister enjoy the garden, and along with their father they are already planting and getting there fingers all green, which is perfect for me, given I hate gardening. So, there you have it, a nice long list of 20 things that may help your child on the autism spectrum to complete their chores. 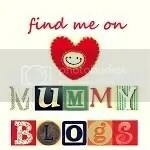 If you’re a parent of a child with or without autism, I’d love to hear of any tips with in your comments. When you mention that your child has Aspergers Syndrome, most that have some understanding of the syndrome, just think the characteristics are a lacking in social interaction skills, literal understanding, or an intense special interest. 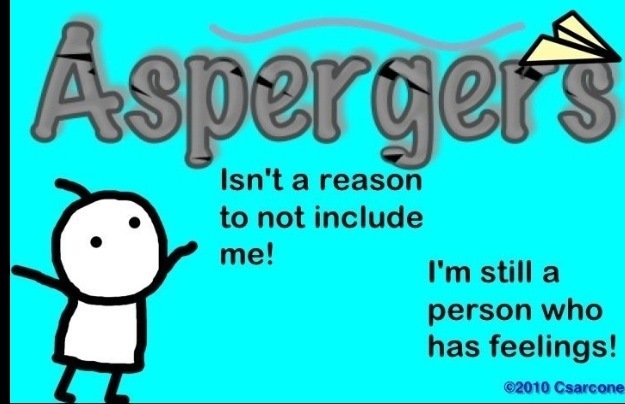 There is so much more to Aspergers then this! One of the main difficulties for Little man is learning independence skills, the most basic everyday things that a “typical” child masters in the early years of life, such as tying their own shoe laces, Little man is only just beginning to do at the age of 11 years. We have always struggled when it comes to daily hygiene, basic teeth brushing and hand washing are a few amongst the list of difficulties Little man has. This is due to a combination of factors such as, sensory sensitivity (which is defiantly the case for brushing his teeth, and reluctance in letting me cut his nails) to lacking the basic skills needed to do what you or I can only describe as the most basic of tasks. The hard thing for us as a family is the fact Little man is more than aware that these are skills he should have mastered by now and yes it make him very anxious and upset. It’s not that he doesn’t want to wash his face & hands, like I have said this is just a basic skill his lacking, which is why we use visual aids in the bathroom. Little man just needs a visual reminder to remind him of the order in which certain things need to be done! So, here’s my worry… shouldn’t Little man have mastered the order of play by now, not be relying on visual direction as much? This is something he cannot be doing as an adult and as we reach the years of puberty (oh god I’m dreading these) this will become an even bigger and more needed skill that he must acquire. When Little man was much younger, even though we struggled to obtain a diagnosis, then a statement of sen… things such as these were much easier to cope with! Now my Little man is growing fast, before I know it he will be 16, what then? Like any mother, I only want the best for my child! I want him to grow up, get a job, a wife, have a family of his own! I’m not stating he can’t do these things, I know he can! What I need to do is step back and help him to help himself! It sounds harsh, yes, I know! But he is my son and I love him! 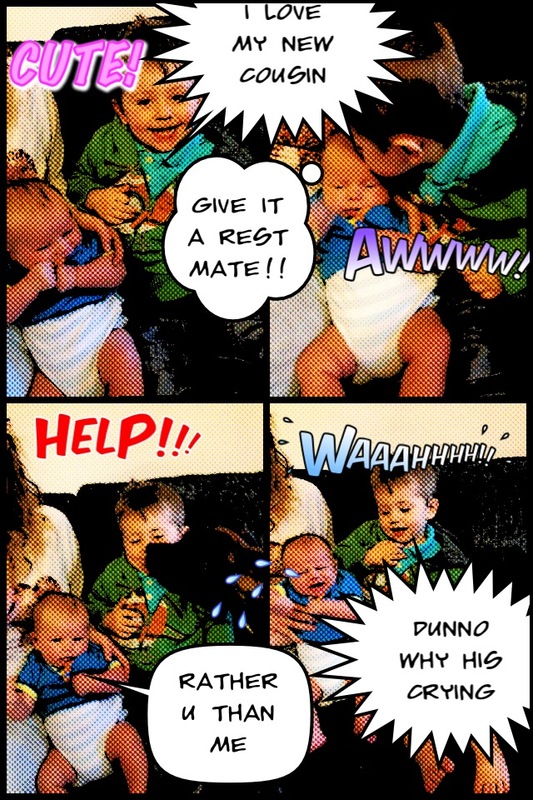 I am guilty of doing what many mothers of children on the spectrum do… helping him that little bit too much! If Little man finds something hard to cope with, it’s easier for me to remove the source of the problem, yet in the long run how will this help him? I’m not just talking about hygiene now… I’m talking about everything, from sensory overload, when we take a visit to the supermarket or fighting with his sister (there is only so many times you can remove a child from the situation after all)! Yes, such issues are true struggles for my child, however it must get to that stage where in order to help my child cope with the things he finds most difficult I need to slowly introduce new techniques to help him acquire better skills for his future, I’m gonna have to start now… before my child is relying on his mum, come age 21! I just wish these things were easier… that’s all! On Christmas morning the children wake you up at the crack of dawn, keen to get going on their marathon of gift unwrapping. Your Child squeals with delight and surprise when they discover what’s been hiding under the tree! But what if they don’t? I mean, what if they say..
As a mother of a child with Aspergers, I know all to well how that feels, except the words above are a not exactly of his choosing! All these terms and more have been used by the Little man, you may feel his spoilt or selfish, greedy maybe! The reality is Little man don’t do well with surprises, the thought of someone getting him something not of use or something he doesn’t like is a total worry that could literally mess up his whole entire way of thinking. With this in mind, it is safe to say that,“No, my son does not believe in Santa Claus” that much is clear to see. His choices for gift have always been… Well, lets say a little “absurd” though I’ve noticed that since his been “allowed” to be part of a school community his slowly becoming interested in other things, things that are considered more “Socially accepted” (though I’m pretty sure that nothing will be able to replace his “special interest” in transport) you may think his a bit of an anorak? If he wasn’t my son, would I think the same? Anyhow, regardless of any of that above (to be honest I don’t know why I’m even bringing that into it) because it will always be the same whether he likes buses, Lego or the latest Nerf blaster! The bottom line is, he don’t do well with surprises and unfortunately when them “Surprises” are not to his liking he doesn’t do well on subtlety either and it would seem that Little man isn’t the only one! 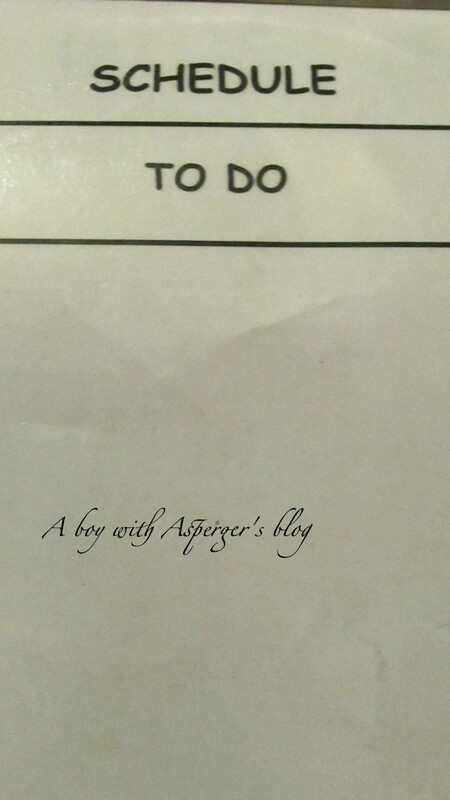 Yes, I created the A boy with Asperger’s (ABWA) Facebook page around a year after this blog as kind of an extension, that I hoped would somehow do well in the world of “Social media” and to my surprise, it went down a storm, so much so we now have eleven amins and almost 4,500 members. The page has seen myself and many others through some difficult times and for many Christmas seems to be one of those! After engaging in a group discussion on the Facebook page this week, it came to light that the whole situation surrounding gifts and surprises, was by far one of the biggest issues for our children at Christmas. However there was a lot of discussion around the topic of Christmas dinner, social gatherings which sadly included visits from the extended family. I found many parents with the exception of a few, complained that their families failed to fully understand or even accept their child, which made occasions like Christmas even more difficult families. I mean… Our children don’t mean to be so blunt, it’s not as easy for them to smile politely and say thank you, when let’s be honest they feel the given gift is best of in the trash than actually taking up space in their bedrooms. I remember from such a young age, Little man would so bluntly show his utter disappointment in a gift he had received. This made me dread Christmas and birthdays, I used to try desperately hard to… “BEG” him if you like, to not say anything rude and if he didn’t like something we would sort it out when everybody had left to go home! He would just look at me before coming out with a thousand and one… “But why” questions. Once convinced he knew the drill I’d just about relax and out it would pop… “Nan… what ever made you think I wanted this” I’d go darting over from wherever I was and quite literally gag him. 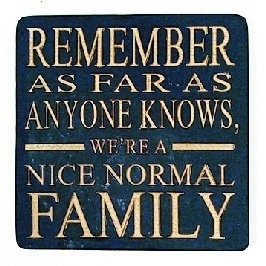 This isn’t always the case anymore and most of the family understand this is just his way! My mum learnt her lesson quite early on and began taking him shopping for his own gifts (not usually a great idea is shopping, what with the tendency to quickly convert into meltdown mode, due to the sensory overload of the busy situation) but like myself, my mother has a plan (one that doesn’t always work… it a 50/50 thing) quite periods and the mid relaxation break at a costa branch normally helps! Strange choice for an 11-year-old I know but a decaf with cream seems to somehow make a bad situation a not so bad one. While on my Facebook page reading some Crimbo tips from my fellow parents of children on the autism spectrum, I discovered a few I wanted to share! Please bear in mind some of these children find the whole occasion that is Christmas far too much to bear and cannot cope with it at all. 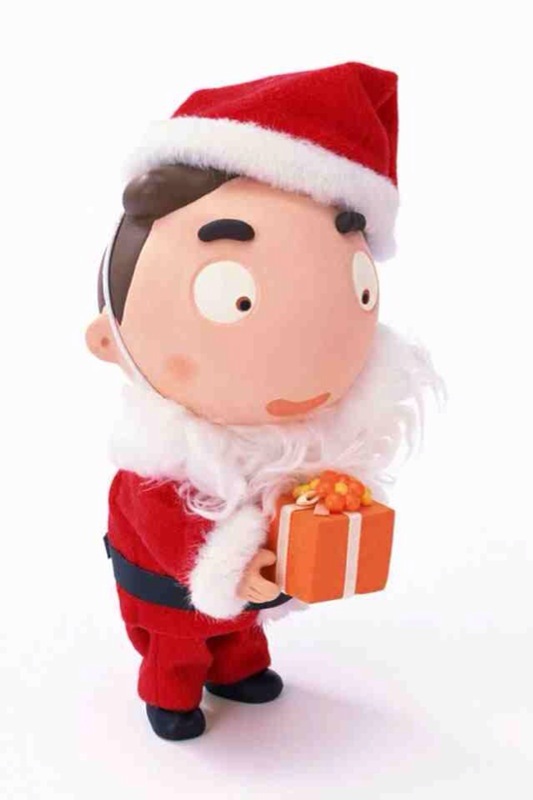 Many really do not like the whole social situation that comes with Christmas, where little man wants to socialise, he just has difficulties doing so. Christmas tips for the family of a child with autism given by parents from the ABWA facebook page. 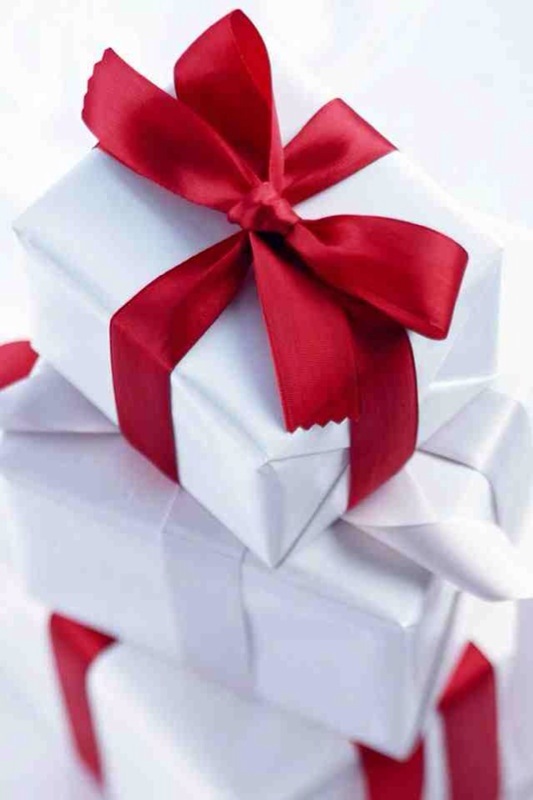 Parent from page… Jamie hates surprises and too many presents overwhelm her so Xmas starts tomorrow for us, a present a day for advent and anything she isn’t happy with I will swap for something she wants. Xmas day will be very casual with a couple of presents to open when she’s ready and no Xmas dinner, just a normal day as far as food is concerned! Parent from page… Eli is obsessed with his nintendo dsi and zones out when playing games so we take it with us when we go for family holidays and he has as much down time as he needs. We don’t force him to sit with us or socialise…. He seems to visit when he wants and the dsi gives us all some peace. Parent on page… Limit the amount of time friends and family spend visiting you – everyone has this big thing about spending the whole festive period together but for my son this is like torture. So we have family over on the xmas day bit and have a limit on the amount of time they can spend with us , and this helps my son to stay focused and calm as he knows there is an end in sight and he knows when the time is coming where he can chill and just be himself. I will say that my son has a thing about being fully dressed, and eating in front of people, so for him it is good to know that he only has so long left till he can strip and stuff his face with xmas goodies! Parent on page… It doesn’t matter if you don’t open the presents all in one go, we do ours over the whole day and sometimes keep hold of some for the next day too. It seems too overwhelming for my lot and I wouldn’t say they’re spoiled either! 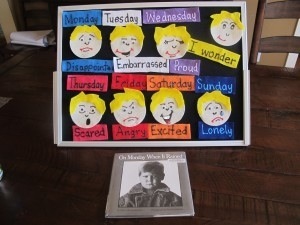 Visual aids are a fantastic resource for a child on the autism spectrum and can be used in a number of ways. This could be anything from PECs to encourage communication, reward charts for the encouragement of appropriate behaviour; schedules (whether for the whole day or just parts of it, such as school, bedtime etc…) Social stories to help prepare for change and many others. We have used visual aids for the last few years and I discovered the true beauty of them, back when I went on the ‘Early bird plus’ parenting course for parents of children with autism & aspergers syndrome, which was ran by NAS and our local authority, a good three years ago! At first I spent a small fortune kiting us out with a load of tools, from visual cards for games to schedules and social stories. Of course when you’re a mother to a newly diagnosis child, you spend a small fortune on these things just doing what you think is right! Well, Like many I learnt the hard way, and I’ll never fork out big bucks for something that can be easily made in the comfort of your own home (Well, unless someone presents me with a well made product that’s fairly priced and sold by someone who isn’t just looking to make a quick buck from my child’s diagnosis, that is)! We don’t use an all day schedule for Little man, though we used to, however, our life is a tad crazy at times and it becomes a little hard to follow. You see, I don’t want Little man becoming to reliant on routine, yes, routine is good and he loves it, but life cannot always be this simple and sometimes a little thing called “Life” gets in the way. Nonetheless he has one at school and also follows one to help him with his bedtime routine. 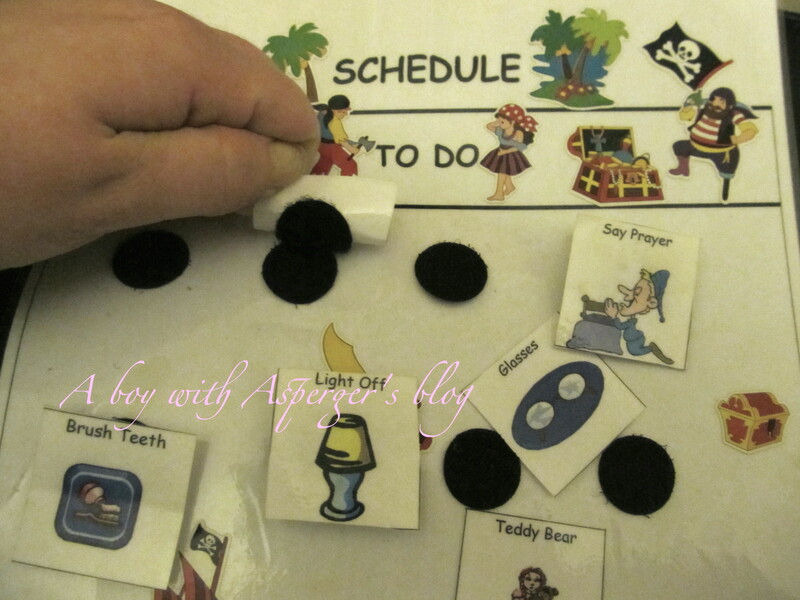 Little man has a chart that has a small pocket that holds a number of small cards each displaying its own symbol or image! What’s great is, by designing your own you can completely customise it to fit around your own child’s routine (or in most bedtime cases, desired routine)! Here’s an example… Your child maybe the type of child who settles only after a story, may take medication and also have a small bath an hour before bed. You would therefore make cards that resemble these actions, plus any additional cards that symbolise other areas of the routine like… a tooth-brush, pyjamas, warm drink, toilet, kisses, lights and bed. This doesn’t even need to be in the form of pictures, your child may even prefer words! You may start with pictures and as they grow change over to text, whatever works best for you, that’s the beauty of it. Another great aspect to the whole concept of schedules is that they work for children with and without autism. This means your child wont feel that its anything out the ordinary, especially if schedules are being used both in the home and educational setting. 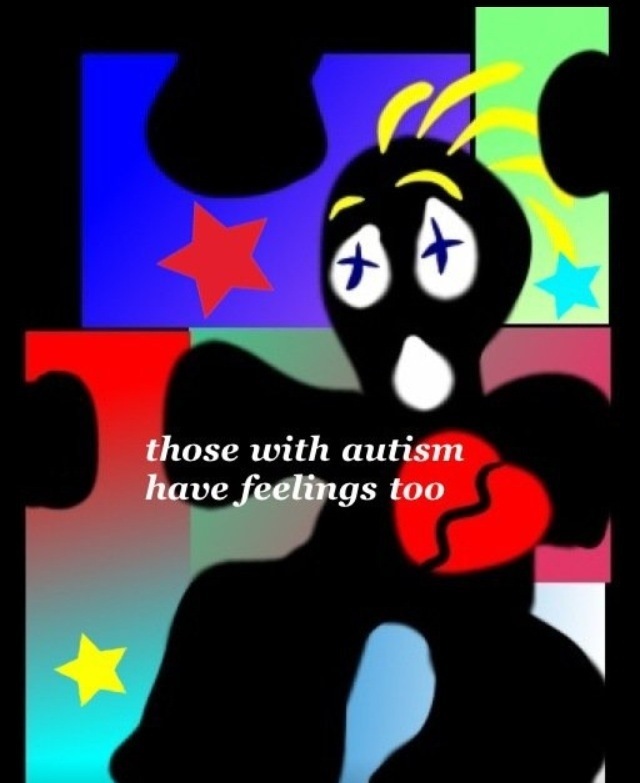 Children with Aspergers Syndrome especially, are quite aware of their differences and can sometimes get downhearted, I try my best not make Little man feel singled out, as-well as trying to avoid his sister feeling left out, if you know what I mean? That’s why I have ensured that both the children have a bedtime schedule as well as a chart to display their own set of targets to ensure they keep all of their pocket-money or even add to it (quite a new thing, it has its up and down weeks) this way it’s a win-win scenario as no one feels singled or left out! I wouldn’t mind getting me own brand of schedule out there and onto the market! One that’s simple yet fun, easy to follow and doesn’t leave you feeling poor! I’m forever having ideas for schedules running away in my head, maybe because I’m always thinking of ways to make life that Little bit simpler for both little man and the family as a whole. However, life offers little time, so for now… how about I show you a dead simple way to make a bedtime schedule with nothing other than a few bits and bobs from your craft box? Step one: Decide which area of your child’s life will benefit most from a structured routine, then make a list of the symbols or words that make up your routine (bed, tooth-brush etc.-etc). Next you need to make the base for your main chart. You can download and print templates from an array of sites that offer free downloadable resources such as symbols, I will include some resources at the end of this post. Otherwise if you fancy getting really creative simply use a ruler to make your own (I made my own using text edit in my mac). Once you have finished printing or drawing your chart, you may wish to cut it down to size, depending on how many symbols you have to attach. We used A4 paper so cut it in half. If you have lots of symbols, keep it at A4 size. a) Download from one of the sites given in the resource at the end of this post or check out free clip art on google! Once you have found what you want, you can then print them out. b) Use your ruler to mark out the number of square boxes required to make up all the symbols or words in your routine (just count the number of items in your list). We made our boxes 3 by 3 cms but you could make yours bigger or smaller if desired! (If using text as opposed to symbols you may wish to make these slightly larger, you could use rectangles over squares) just make sure there is enough space to house them all on your chart. c) If you are using instruction ‘B’ over that of ‘A’ you will then need to add the images or words to your cards! If you fancy doing a bit of a freestyling, then great… draw away, otherwise look in magazines or uses the google images ect, make some cuttings and get sticking, attaching your cuttings to the card templates. If using words, write these in nice bold lettering, or even add some small text above your symbols as I’ve done . Step three: Now take a laminating sheet and laminate the paper containing your card templates. Note you should not have cut out your cards as yet, all should be on the same sheet of paper regardless whether you downloaded them (Step two [A]) or made them by hand (step two [b]c]). Step four: Once laminated, cut each of your cards out and leave to one side. Step five: Next bring forward your base chart and before laminating, you can decorate if you wish, using the brightly coloured pen (important don’t add stickers just yet). Step six: Once decorated, laminate your chart. Step seven: Take your Velcro dots and your glue dots (a glue stick works fine also) and glue the rough side of the velcro dot to your chart, with the other smoother side to your card. Do this for every card in your routine, these can then be attached to the Velcro on your chart. Step eight : With a small piece of paper fold it in half and use the tape to stick down the sides and end. Apply a Velcro dot to the back and the other side to your chart , then use stickers or whatever else you fancy to decorate. 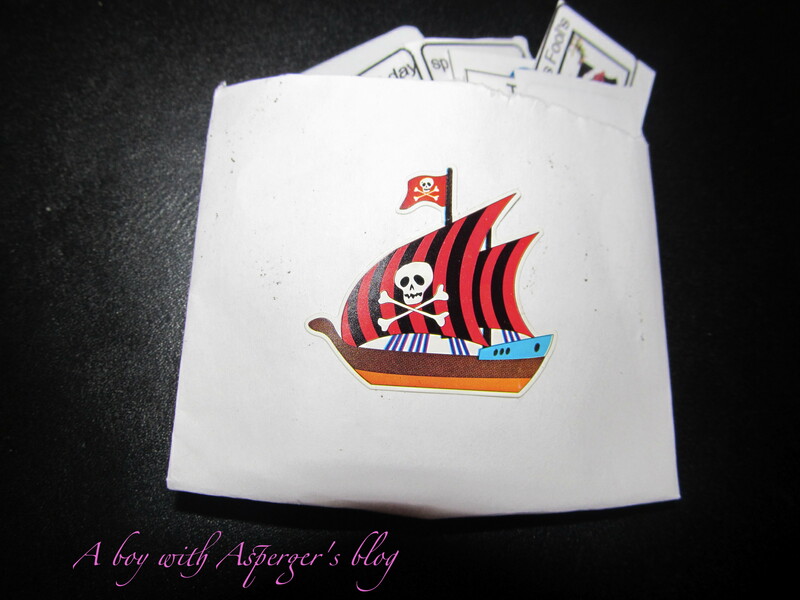 This will be your envelope to store your symbol cards when not in use. Step nine: Here’s the fun part ! Its time to decorate your chart by applying the stickers to the base chart. These can be easily removed and wont damage the chart due to its laminate casing. 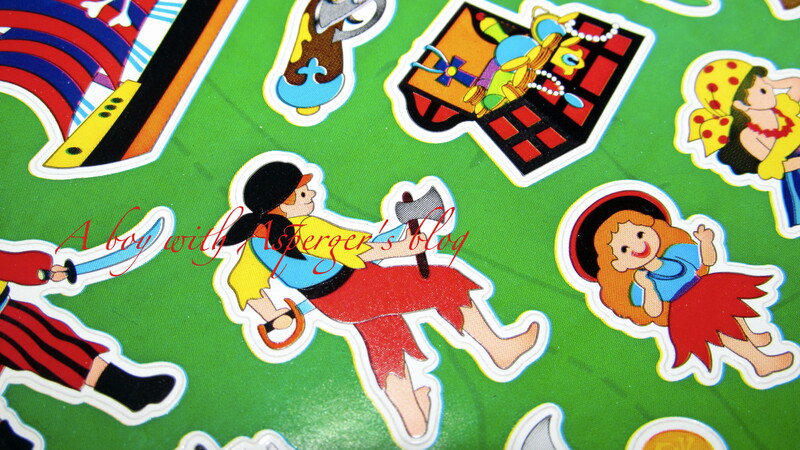 This will allow you to apply new stickers whenever you like, completely revamping the whole chart meaning it can therefore grow with your child and his/her changing interests. Step Ten: Hang on the wall, choosing somewhere quite low, making sure its accessible to your child. Last but by no means least, have some fun as you but your creation to the test. You just made your very own visual aid. Click on any of the links listed to uncover download resources to help you create your schedule.